People, I am on a roll! I’ve pulled out another WIP that I’ve had sitting around for far too long. About 3 years ago, my friend Leigh gave me some fantastic vintage applecore blocks she found discarded at a thrift or antique store. They were already cut and ready to piece. The fabrics are a very random mix of prints, different kinds of cloth and clashing colors. Some of the prints are vintage-fabulous and some of them are vintage-hideous. Up close, there are some scary combinations but stepping back, together they just work in a way I would never have put them together myself. I’ve wanted to sew them together for ages but, like many sewists out there, I’ve been totally intimidated by the curved sides. I’ve watched other people sew curves and tried to get up the courage to do it myself, and always chickened out. 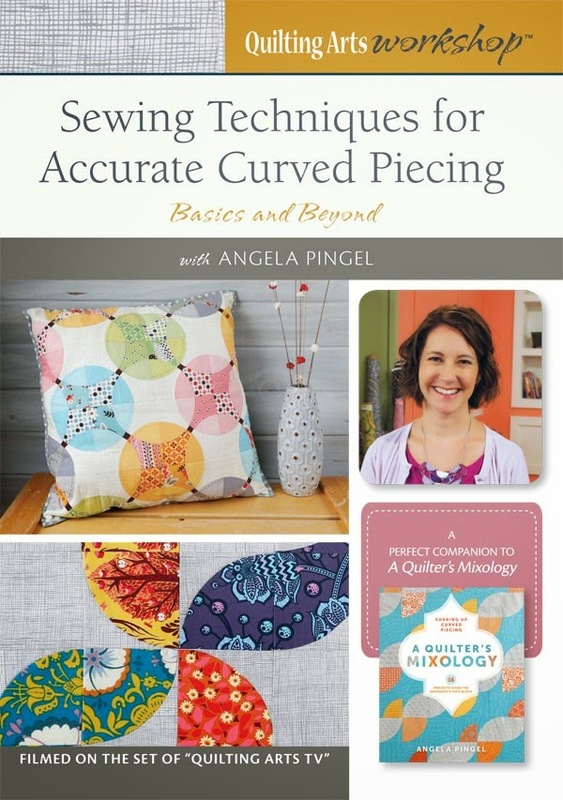 Angela’s publisher, Interweave, has since produced a companion video where Angela walks through a variety of curved piecing methods and designs. There are traditional curved quilt designs such as Drunkard’s Path, Applecore (yay! ), and Clamshells. Angela also shares a lot of ideas and techniques for incorporating curved piecing into modern designs and improv piecing. This video is available to purchase as a DVD or as an instant video download. If you have been admiring quilts with curved pieces, but feeling like you needed someone to come hold your hand too, then I highly recommend this video! It gave me the confidence to finally start sewing these applecore blocks together. I’ll admit, piecing with curves takes some practice. My first couple of rows are not perfect. But I’m sticking to my mantra of 2015 to stop over-analyzing and just get stuff done. And as I’ve been going, I’m definitely getting the hang of it and each row is looking better! I want to just keep going! What an awesome resource! I don’t mind curved piecing with my handwork, but I’ve not done much with my machine. I’ll definitely look for the Mixology book and check it out. Thanks for the chance to win! Thanks for the help Angela! I&#39;d love to make a quilt like that someday. It looks so great! Thanks for the review, Amy. The apple core quilt is looking fantastic on your design wall. Lovely idea your friend had when giving you the blocks. Thanks for a chance in the giveaway. I&#39;d use the DVD for my projects. everytime I read about someone&#39;s find in an antique store, garage sale, or second hand store I am envious.<br />I would love to be able to work with curves but hesitate doing so – maybe this DVD would give me the push I need. Love your apple cores. I have Angela&#39;s book and really like it. I&#39;d love to complement the book with the DVD. Thank you for the giveaway. Curved sewing is very addicting. I&#39;m just trying to figure out what to do with all the scraps! Thanks for the giveaway! I have never done a curved piece block ! I should give it a try ! I have several curved piecing WIP&#39;s. I definitely need the encouragement. Thanks. Love your quilt. This is a skill I need to learn. I love curved pieces-especially apple core and drunkards path. I could definitely use hand holding! I would love to get more confident in sewing curves, and this DVD could help me with that! Wow! Amazing – I need a skill builder! Thank you Amy! Beautiful quilt. Can&#39;t wait to see it finished. Curves scare me. I would love to learn how to piece curves. This book sounds great. Scary curves! Would love some &quot;handholding&quot;! Your quilt is spectacular! And what a lucky find those pieces were! I&#39;m glad someone didn&#39;t just throw them away! Your blocks look amazing. Thanks for the chance to win this fantastic DVD. Your apple core quilt is looking good, even though there is such a mixed bag of fabrics. I&#39;d love to be able to sew curved pieces evenly, and achieve such a result. Oh, I&#39;ve had my eye on this video since I heard about it and would love to win…and, then would actually attempt a curved pattern quilt! Thanks for the opportunity! I&#39;d love to learn about curved piecing! Thank you for the opportunity. I&#39;m always a little hesitant with curves. I&#39;d love to have a &quot;pro&quot; to refer to for moral support. This is brilliant! Thank you for the chance to win! I love your style of quilting and fabric choices!! I am so addicted to quilting. Thank you for sharing. Count me in! I love curves. Love the vintage fabrics! I just started an applecore quilt by hand. Would love the book for more ideas! (This may be a duplicate; my first comment disappeared.) <br /><br />Your apple core quilt is pulling together nicely. And I really like your &quot;stop over-analyzing and just get stuff done&quot; mantra! Curved piecing does seem too difficult for me, but Angela&#39;s DVD (or book) would get me going in the right direction. I love Angela&#39;s book and think the video would be so helpful. Great idea! I could use some instructions on how to piece curves. What an awesome resource! I don&#39;t mind curved piecing with my handwork, but I&#39;ve not done much with my machine. I&#39;ll definitely look for the Mixology book and check it out. Thanks for the chance to win! Wow! Her designs look fabulous. I would love to learn that, especially since straight line piecing doesn&#39;t always get the look you want. Thanks for the giveaway. Curves are so scary…..I need help! What a great find and good friend. I tried curved piecing in the past with mixed results so I welcome new information and ideas about using the blocks. Thanks for the opportunity and the information. I&#39;ve got an old quilt that my grandmother made (I think) that has the exact same pink and orange flowered pattern – it&#39;s one of my favorite vintage-fabulous fabrics! This is just what I needed to get me back on one of my own WIP&#39;s that I need to get finished. Curves intimidate me too! Im just doing a New York Beauty quilt. Boy, could I use some help with the curves. Thanks for a great giveaway. Nice! I wish I could find precut vintage fabric at the thrift store. Quilts with curves are so fun. This year is my year to learn new technics and to &quot;make art&quot; every day. So learning to do curved piecing fits the bill. I love Angela&#39;s book, and would love to have the video to go with it. Her curved piecing is just beautiful! I would love to make quilts like these but would be far too scared to try it without the DVD to replay again, again and again. Love to watch any quilting dvds. I&#39;d love to be part of your giveaway. Beautiful project! I really love her book, but could use some help with the technique, that&#39;s for sure! Your applecores are looking good! Learning how to sew curves is on my bucket list. Thanks for the giveaway. I&#39;d love to win Angela&#39;s DVD! Curvy seams are the best! Like you, I&#39;ve been too intimidated by curves to try them! But I would love to learn! Thanks for the chance! The apple cores are looking great. Curved piecing is scary but doable!! Thanks for the chance to win the dvd! Love how the apple core quilt top is coming together! I need this NOW!!! I started sewing The January Quilt, by Liz Harvatine. It&#39;s a beautiful pattern, but it&#39;s curved! Up until now, I&#39;ve avoided curves like the plague, or used a &quot;cheater&quot; method to produce the same results. When it comes to curves, I feel very hesitant and unsure of myself. I feel just liek a first-time quilter, and I&#39;ve been quilting for almost 28 years! Any tips on sewing curves are always welcome! Thanks for the fun giveaway. Sweet! Thanks for the giveaway. I&#39;ve always wanted to know how curves are done!! Love your choice to just keep going and to get better along the way. Amy – your vintage Apple core looks really sweet and is probably the exact way the original owner of the pieces envisioned it. I know sewing those curves can be tricky. A couple of years ago I made an apple core Halloween table runner. I have been sewing and quilting for many years but have always steered away from quilt like drunkard&#39;s path and apple core because of the dreaded curves. I think this book would be very helpful for me. Thanks! I have done some curved piecing but Amy&#39;s guidance is much needed for better results. Thanks for the chance to win this book. I just finished my first curved piecing quilt! It&#39;s probably one of my favorite – would love help in doing more! Thanks for the chance to win this DVD ~ curves scare me to death!! I&#39;d love to win! I&#39;ve wanted to try curves but have yet to do so. <br />Awesome fabric for your quilt by the way. I&#39;d love this. I&#39;ve gotten some amazing tips from Angela in the past, so I&#39;m sure this video is fantastic. Thanks! I have Angela&#39;s book and know this DVD would be the perfect companion. I especially like that it includes clamshells and apple cores! Seeing you tackle your WIPs makes me want to tackle mine too! Would love to try some curved piecing after seeing yours. This video looks fabulous. I definitely need some hand holding when it comes to doing curves. This would be AWESOME to not be scared of curves…..
Love the vintage fabrics! And curves have terrified me for a while…I tried them once and haven&#39;t since! Your vintage fabric apple core quilt is going to be beautiful! Have my stash of 1930s fabrics … have the apple core template …. all I need is the Know How.Thanks for the opportunity. I think your quilt is going to be beautiful, a real treasure! I would love to try my hand at apple core piecing! ENJOY READING YOUR BLOG, THANKS FOR THE OPPORTUNITY TO WIN. Dying to try curved piecing! I have the book but I still need the video. Thank you for a chance to win! This sounds great. And your blog post is a great reminder to me to just dive in. I tend to endlessly research rather than begin something new. 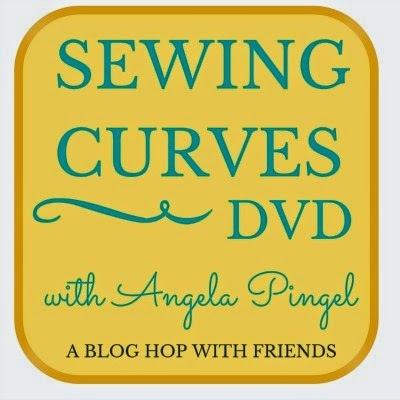 I would dearly love to watch Angela&#39;s DVD about curved piecing! I&#39;ve bought her Quilter&#39;s Mixology book, which is wonderful. But, I&#39;m a visual learner and believe this DVD would be very helpful to me. I love the look of softness and movement she creates with curves. I&#39;m a beginner quilter with an Irish chain, nine patch, and a rail fence quilt under my belt but my aspirational quilt is a drunkard&#39;s path. I love the Moroccan motifs you can make with it. Like you, the curved piecing is scary for me. Help is definitely needed. I love piecing curve pieces together. I&#39;ve done drunken path once and love to do it again. Lovely blocks. I too am scared of curves and would love to win. Beautiful blog site, I&#39;m addicted to it, so much inspiration. Love the prints and pattern. Curves are very scary. That is a great giveaway and very kind of her to do so. Anything that will help me do them right, I&#39;m game!! I just bought Mixology today – my next quilt will be with curves and this is the perfect inspiration. And love the apple cores – so beautiful cant wait to see the finished product! I would love to give this a try. Thanks for the chance to win. The second project I made when starting to quilt was an apple core table runner. I would love to try a quilt from curved pieces. Thanks for the give a way. I too would love to learn to piece curves!! Thanks so much for the chance to win a great giveaway that can help me gain the confidence and skill to do it. I would like to learn these techniques. I want to learn to sew curves. Those little Apple cores are great! I very much enjoy reading your posts! And I would love to win this. I have just the project on my shelf for cut but have been afraid to tackle. Hope I win but good luck to all! Your apple cores look amazing- and intimidating! I would love to win a copy of Angela&#39;s DVD to help get over that! What a treasure those apple cores are! Thanks for the chance to win. Making an apple core quilt has been on my bucket list for years. Even bought the template! I&#39;d love a copy of the DVD. Thanks to you – and Angela – for the opportunity to win a copy. I would love to do an apple core quilt. I have just the right fabric too. But I would not even know where to begin to start. Thanks!!! I really want to win this! I already have and love the book, which deals with Drunkard&#39;s Path patches. I have both Apple Cores and Clamshells on my Quilter&#39;s Bucket List so this dvd is a Must Have! I, too, am a little afraid to try curved piecing without some solid instruction, so this DVD would be a great help! So many possibilities with circles and curves, but i have been avoiding them out of fear of ruining fabric and making mistakes ! Would love a DVD to learn from ! Thankyou ! Thank you for the chance to win Amy. I&#39;ve always wanted to try a Drunkards Path quilt but don&#39;t have the knowledge (or courage) to start. This would definitely help! Doing a great job….would love to learn more of this technique . I&#39;d love to see the dvd! I have a few curved projects I&#39;d like to try one of these days. I would LOVE the companion video to the book I own! I definitely have projects with curves on my wish list, but I&#39;m to intimidated to just try! Thanks for the chance to win! Would love the curved piecing tips. Your apple core is going to be great. Just what I need, I have a quilt waiting to be put together but am so afraid of the curves Awesome vintage fabrics too!! They look great together. The apple core is on my bucket list of quilts to attempt some day so I would love to win! I&#39;ve done some curved piecing but the clamshell hasn&#39;t gone well–would love to improve! It is so neat when you take an old find like that and make something with it. I love it! I have never tried curved piecing but I am just about at the point where I feel I could take it on with some studying up on it. Thanks for the chance to win! I love it when I find a treasure at the thrift store!!! Great job on the apple cores, they would scare me!! I would love the DVD to give me some curve confidence!! Thanks!! I love recycling thrift stores finds. The apple core is so sweet. Haven&#39;t tackled curves yet, maybe I need the dvd to boost my courage and motivation. Curves scare me! I&#39;d love some help getting over the fear. Your apple core quilt is an inspiration! This looks like a great DVD… thanks for the giveaway…. Love your apple core project. I passed on a chance to buy a large bag of precut cores at my lqs clearance sale because I was unsure of my ability to finish the project. Angela&#39;s DVD is the key to me to suceed in crossing apple cores off of my bucket list. Thanks for the chance to win. I have made an apple core quilt but would love to learn more tips on curves. Would love to learn to piece curves easier. Your quilt is very interesting with all the vintage fabric. Angela is so awesome. Curves are definitely on my to-do list this year! I avoid curves. That said, I would like to overcome my fear of failure. Thanks for having the giveaway. Some one somewhere said (more then once I am sure ) 4 to 6 fabrics that don&#39;t work just don&#39;t work. 20 to 40 fabrics that don&#39;t work work fine. Or words to that effect! I have her book so the video would be a great companion! I&#39;m just dipping my toe into the curved piecing waters so to speak, so the timing of this video is perfect! Have a fear of curves so I avoid them. Could be time to tackle that fear. Thanks for the chance to win. Taking a Craftsy Class, by cheryl Arkinson on inset and appliqué Circles. This book would help me greatly to work on that class. I would love to learn to do curved piecing. I haven&#39;t tried it in years. Thank you! Great job!!! I&#39;d love this. I&#39;m tackling curves myself this year! Thanks for the review of this book/video and for sharing your trepidation about curved blocks. I&#39;m sure it is shared by many! Thanks for giveaway. I have been wanting to make the apple core quilt design for a very long time. I&#39;m a little intimitated by curves, but there are so many quilt patterns made with them, that it&#39;s time I learned how. Curves definitely scare me, but I would love to learn how to do them. So many interesting patterns that I am avoiding because of the curves in them! Thanks for the giveaway opportunity! I really like those big apple core pieces! Do you know where to find that template? Those fabrics are going to make such a beautiful scrappy quilt. There&#39;s nothing better! Thanks for the opportunity. I have a plastic template that I am using to cut my own apple cores. Not so much fun. I sew some of these on the machine and some by hand. I love how your top is looking. I would love a chance for her book. Your applecore is coming together beautifully! I&#39;ve been enamored with the clamshells lately and would definitely need some hand holding to attempt it. Your apple cores are looking good! Thanks for the opportunity to win! I would love a chance to learn how to piece curves so winning this would definitely help me. I think I will try it on 2015 one way or another. Thanks for the inspiration by sewing together the apple cores. Oh, I need this book! I have a set of twelve antique tulip blocks with curved edges that I&#39;m not sure how to piece into a quilt. Thanks for the fantastic book review! &quot;Stop over analyzing and get things done&quot;… That is great advice! Curves scare me too, but I&#39;m starting to try them. I&#39;m sure this book would help a ton. Thanks for the chance to win! Curved seams are the final frontier for me so I&#39;d need Angela to hold my hand through them! I&#39;ve often admired the apple core photo in your blog banner. The blue aster-y fabric is so sweet. I&#39;d assumed you&#39;d done an apple core quilt a long time ago. I just received an apple core, drunkard&#39;s path and wedding quilt dies for my accuquilt go cutter so this post is so timely! I am looking forward to checking the links later with a cup of tea. Thanks! Thanks for the fun giveaway! I know I could use some help in tackling curved piecing! I have been looking at this book and chickening out of buying it. Thanks for the opportunity to win it! Those vintage fabrics will be so fun. Yay for learning curved piecing! Want to add curved piecing to my techniques….thanks for the recommendation! Curves have scared me for years. I love the apple core quilt with the vintage fabrics and can&#39;t wait to see it completed. Your apple cores look great, Amy. I love the look of curves but always avoid them as they look too hard. Sounds like the perfect book. Thanks for the lovely giveaway. I made Drunkards Path baby quilt for one of my granddaughters when she was born. It actually turned out well. So, I thought, I can do an applecare quilt. Well, I guess I was overconfident because the applecare didn&#39;t turn out at all. Thanks for the giveaway! Thank you for this opportunity. I would love to learn to sew curves with confidence. Love the apple cores and happy to see them all coming together. Thank you, Amy! You can so naturally inspire us! I also have to give a try to curved piecing. Your apple core blocks look great! You are so lucky that you got that package. Can&#39;t wait to see how it will look in the end! We can all use a little help with curves. Thanks for the opportunity. Your progress learning to sew curves is inspiring! I too would love to learn. I too saw Angela&#39;s presentation at Market and was so impressed. I&#39;m still dying to try some of her patterns maybe this would jump start them to the top of the list. Thanks. What a find! Vintage Apple core pieces! I never find anything so interesting or usable! Looks great! I would love to try some of those curves (with a little hand-holding) as well!<br />Thanks for the chance to win another great giveaway! I have several stalled projects that need me to gain some curvy confidence – this would be fantastic! Thank you for the opportunity. I love watching sewing videos! I would love to win. sometimes my curved piecing works and sometimes it doesn&#39;t. I would love to get it to work every time. That looks like a great book. I would love to have a copy! I may have to check this out. The apple cores on your design wall look great together!! I would love love love a copy of her book. I have made a few curved blocks but I am so stumped on how to put them together. Now, if I had the book…hope I am the lucky one!!! These are beautiful! I&#39;m just getting started with quilting, but I would love to incorporate some curves into a soon-ish future quilt. 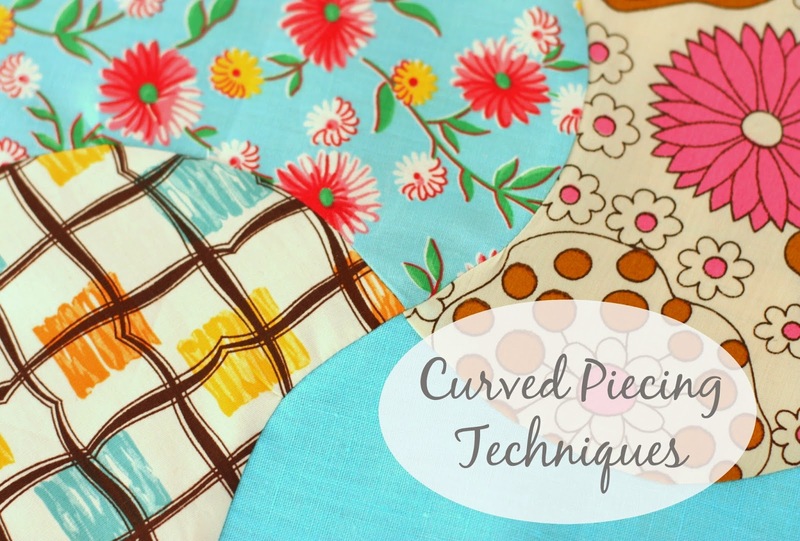 I was so excited to see such a great round-up of techniques and tricks for doing curved piecing. Thanks for the chance to win the DVD! I&#39;m a new quilter…..a whole week new and I am very excited about it! I love looking at all the quilting patterns and all the different shapes and sizes of the quilt blocks! I especially love the curves and would love to have a copy of this book so the adventure of sewing curves for me can begin! And by the way, your quilts are absolutely beautiful! It would be so nice to master those curves! I would love to make the Apple Core quilt without the fear of curves! Thanks for the opportunity to win! Sounds great! Please count me in :o)<br /><br />Love the vintage applecores…just gorgeous! I would love to learn how to sew curves! Thanks for the giveaway! I love the Drunkard&#39;s Path pattern but am totally intimidated by curves. I&#39;d love to get better with them! Apple core pieces – what an awesome find! I would really love to make an apple core quilt some day. The colours look fantastic together … Yes clashing and random and maybe some you would never have used ….but together they work and look fab! Amy! You are mind blowing loved your review. Apple core is fantastic!